The Aviation industry and airlines cannot exist without one another. The billion-dollar industry is utterly reliant on the airlines business. Did you know? In 2015, nearly 3.6 billion passengers were transported by the world’s airlines. Moreover, approximately 62.7 million jobs are currently supported due to the airlines and the aviation industry.Through the Aviation Studies Airlines course, we will teach you all there is to know about the fast-paced world of an airline business with Aviation Programs in Dubai. Dubai hosts one of the busiest airports in the world with a myriad of commercial airlines passing through the city. Jobs are created daily, and employers are on the lookout for top talent. If you want to further your knowledge of the Airline business, while also gaining practical, professional experience, then this is the course for you. Through this module, you will learn about the Airline industry as a whole which will prep you for further modules in this course. Through this module, you will learn about the complete value chain of the customer journey within an airline, along with every touch point that makes the journey a success. Safety and security, although used interchangeably, are two distinct parts of an airline operation. Through this module, you will be able to highlight the safe and unsafe acts during an airline operation and describe the fundamentals of security during the process. This course provides delegates with an indepth Management expertise into the safe workings of Airline Operational activities. Dealing with the People, Process and Sytems that completes the requirements of efficiently runing an Airline. You will be required to analyze the impact of your new Airline management skills using a business dashboard, demonstrating your actions to realize positive financial returns on an increase in air traffic growth (above GDP), through revenues, expenses and investments. As a member of the management team in the business simulation exercise, you are responsible for both short-term revenues, including commercial initiatives related to market developments, and the long-term strategy that may include capacity expansion during your virtual 10 year tenure. This course provides delegates with expertise into the safe workings of Airline Passenger Services activiites. Dealing with the practical and technical aspects of efficiently runing an Airline Passenger Activities and Services. Gain practical knowledge to manage key airline operations with high efficiency and safety. Understand and meet the operational requirements of main partner of airlines at an airport, fuelers, caterers, authorities, ground service providers, passengers, and freight forwarders. This course provides delegates with expertise into the safe workings of an Airline’s below wing activiites. Dealing with the practical know-how and technical aspects of efficiently runing Airline Airside Operations. The aircraft servicing and ground handling basics you need to start a career on the ramp. This course provides delegates with expertise into the safe workings of Airline Cargo activiites. Dealing with the practical and technical aspects of efficiently runing an Airline Cargo Operation. This highly interactive course provides a 360° management perspective from industry experts working at the most successful airlines and freight forwarders about the air cargo industry. Delegates will review the cargo management system with an international perspective, focusing on the business, operations and regulatory fundamentals. Over five days delegates will explore how the air cargo industry is changing and how to identify opportunities to become more successful as a manager in the company. This course provides delegates with expertise into the safe workings of Airline Flight Operations. Dealing with the practical and Technical aspects of Flight Operations. Build confidence in delivery all the on-board responsibilities such as announcements, safety reviews, and service requirements. The Overview of the Aviation Industry. 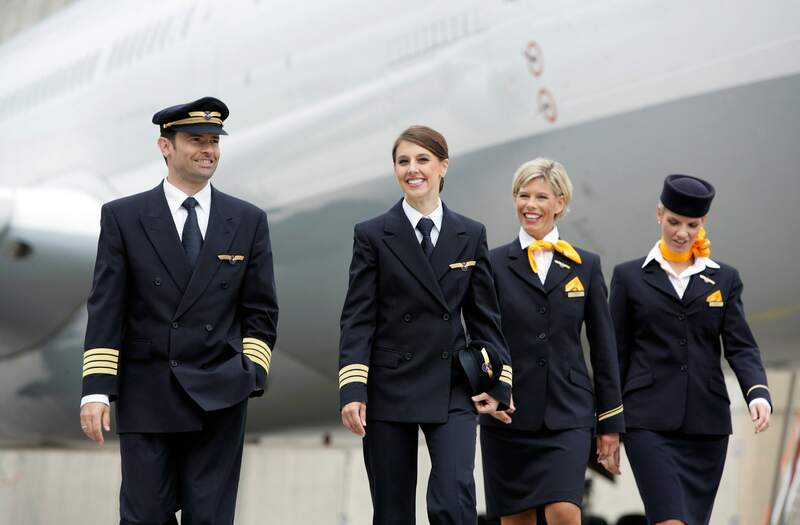 – The differences between Flight Attendant as compare to other careers. Effectively and professionally manage minor disruptions and service interruptions. This course provides candidates with know-how on how to manage the efficient utilization of ULD and its care and maintenance. ULDs are essential for loading freight transported by air. Although ULDs are required to ensure the safe and reliable restraint of cargo during a flight, the standards for using them vary widely across the industry. The IATA ULD Regulations (ULDR) provides a simple point of reference for common technical and operational standards, regulatory requirements, and carrier requirements applicable to overall ULD operations. Essential training for Station Managers working for ground service providers and self-handling airlines. This course helps you examine ground handling functions, from marshaling to pushback, check-in to deicing. Analyze the management responsibilities on the ramp and in the passenger and cargo terminals. This course provides candidates with all aspects of dealing with processes and systems involved while booking a customer proposed journey using the various Global Distribution Systems. Interpreting fare rules and e-ticket data elements is key to satisfying and retaining customers. With the abundance and complexity of today’s fare options, travel customers expect you to provide a service that is accurate, quick and affordable. This course teaches the language of fare construction and fare rules so that delegates provide customers with the best advice and the lowest fare for their air itinerary. Delegates will develop new skills through practical exercises and with the support of reference materials to become the travel professional their customers trust. Training the skills essential to receive, process and handle all shipments containing Dangerours Goods according to handling rules stipulated in the IATA Dangerous Goods Regulations Manual. Safety is paramount in the aviation industry: Ensure that you know how to read and apply the regulations for the transport of dangerous goods by air. These regulations include legal requirements, operational restrictions, packaging instructions, marking, labeling, and documentation to ensure the safe transportation of these goods. Gain the competencies to accept, handle and process shipments containing dangerous goods according to the current edition of the IATA Dangerous Goods Regulations (DGR) manual. Required to fulfil the 24-month ICAO/IATA recurrent dangerous goods training requirement. Revalidate your 24-month ICAO/IATA DGR requirement with the latest ICAO/IATA amendments and directives! During the course participants develop their awareness of operational restrictions, packaging instructions and other regulatory aspects related to the safe transport of dangerous goods by air. Gain the skills to classify, prepare, handle and process shipments containing dangerous goods according to the regulatory requirements of ICAO Technical Instruction and IATA Dangerous Goods Regulations (DGR). Learn the essential technical procedures for aircraft handling and loading to optimize the use of ground service equipment and manpower. Learn how to handle media response in an emergency situation from its onset, before the corporate media response team takes over. Gain communication skills to provide adequate and structured information to the media, while avoiding common errors that lead to confusion and negative attention.